A truly effective method for preserving open bottles of wine has eluded experts and wine lovers alike for as long as wine has been enjoyed… and that’s a very, very long time indeed! We take a look at the devices on the market promising to help you get more life out of your vino, and provide the information you need in order to get the right device for your home. When you’ve found a new favourite bottle, packed full of deep and complex flavors, and bursting with a delicate bouquet of wondrous aromas, you understandably want to savour every last drop of it. This desire to make the most of every great bottle, and to eke out every speck of pleasure you might derive from your wine, has led to a whole host of different wine preservation systems, and ways to get your bottle to last longer. It’s a somewhat unfortunate fact that, because wine is a natural product made from fermented fruit and (hopefully!) very little else, it doesn’t take long for wine to go bad. This happens due to a process of oxidation; once your bottle of red, white or rosé is exposed to air, it quickly begins to degrade, with the oxygen breaking down the tannins and acids and changing the structure of the wine. Now, a little of this oxidation is by no means a bad thing. In fact, we allow wines to ‘breathe’ (either in a decanter, in an uncorked bottle, or when swirled in a glass) as slight oxidation removes some of the harshness of those tannins and allows the flavors and aromas to open up, resulting in a more pleasant drinking experience. However, a little goes a long way! Given more than a couple of hours, the same process will flatten the wine, and begin to make it first unpalatable, and later undrinkable. So, how best to preserve your wine? 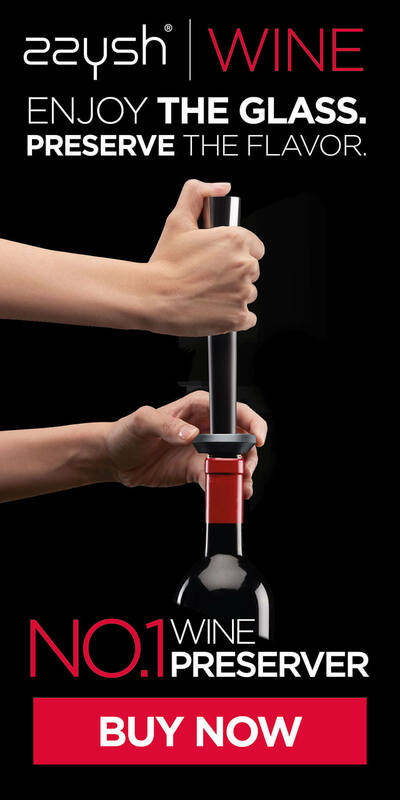 This question has had wine lovers and winemakers scratching their heads for generations, and today, there are several different options on the market for making opened bottles last longer, allowing you to enjoy your wine days and even weeks after you’ve popped that cork or unscrewed that cap. Let’s have a look at some of these options, and consider which ones might be best for your needs. Good for: keeping your wine fresh for a day or two (at the most). How does it work? Stoppers come in all shapes and sizes, and essentially replicate the function of a cork. They might be made of rubber or other plastics, and they can also come in a variety of decorative forms. While stoppers certainly can halt the introduction of any more air into an already opened bottle, they don’t deal with the primary culprit of ruined wine, which is the air already inside the bottle, filling the space between the surface of your wine, and the stopper itself. This air will continue to have a negative effect on your beloved vino, and continue to degrade the wine no matter how tight of a seal you’ve applied. Good for: Tests have shown this system is, for it promises, only very, very slightly better than a regular stopper. How does it work? Inflatable corks are essentially rubber balloons, which are inserted into the neck of the bottle, and then inflated with a hand pump in order to fill the space between the wine and the open cap. Unfortunately, while this might slow down oxidation a bit (again, it doesn’t remove all the air in the bottle), the rubber material of the balloon actually has an even more unpleasant effect on the wine, leaving wine unpalatable after it has been in contact with the device for even a few hours. Plus, they really don’t look particularly elegant – and what is wine without sophistication? Good for: Preserving wine for up to 48 hours before it starts to spoil. How does it work? If air is the problem when it comes to preserving wine, then the logical solution is to remove the air as much as possible, right? Well, this certainly makes sense in theory, although most experts cast serious doubt on how much air can realistically be removed from a bottle using a simple pump. With most estimates putting the effectiveness of vacuum pumps at around 70%, it’s no real surprise that serious wine lovers are often disappointed to find that their wines have undergone some significant degradation, after a mere 48 hours or so of using one. How does it work? Argon gas wine preservation systems, such as those produced by zzysh®, work on a different principle altogether. 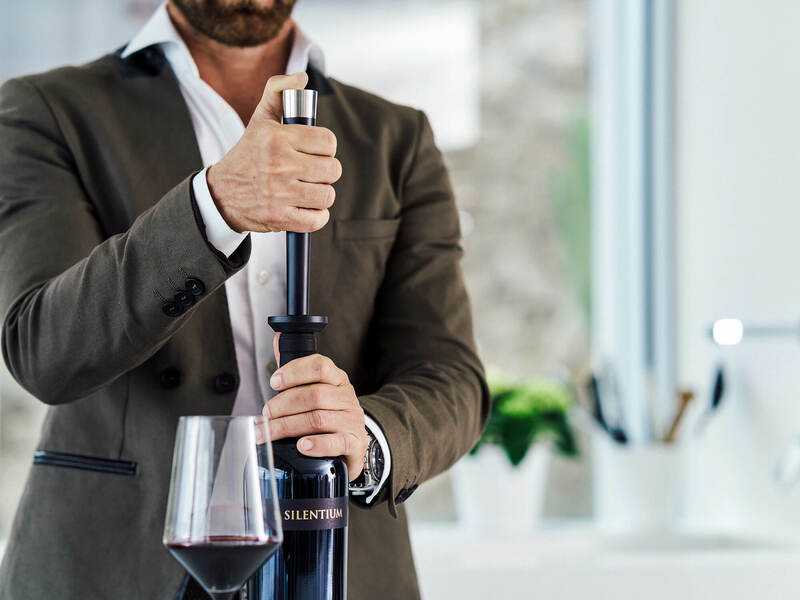 They involve a simple, elegant and effective mechanism, which allows you to fill the remainder of your bottle with a pure atmosphere of argon – an innate gas – which replaces the oxygen which is damaging your wine. This gas settles like a protective cushion over the surface of the wine, ensuring that no further oxidation occurs, and as such, keeps your wine fresh, delicious and as the vintner intended it for weeks to come. The zzysh® wine preservation system has impressed wine experts and wine lovers alike, thanks to the innovative method it involves, and the sheer, undeniable effectiveness it provides.